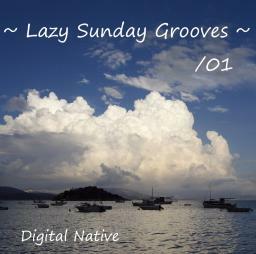 listening to Lazy Sunday Grooves 02 made me want to listen to more. I then found LSG 01, and found it to be just as wonderful as 02. I have not listened to any of your other stuff yet, but I look forward to it. You have a way with Lounge...very very nice. Thanks for sharing this nice mix. Working this Sunday on re-stringing a bracelet, actually ... what a great set to have keeping me company! Feelin' lazy today listening to this chillin' mix - excellent work! Lot of respect tracks here, from classics like Kraftwerk to great chillout like the first one, passing through with progressive rock too! I like the diversity of tracks here. Well done! Nice job! Very relaxing! I like the selection alot! Nicely done!! Some awesome tracks! I have not heard Hooverphonic or the Alan Parsons Project in a long time! Good to hear again and the many other very cool tracks-2,5,6,10&12. Thanks for sharing!